Masskara Festival is one of the most anticipated festivals in the country. Like snatching a seat sale from airlines, booking a place to stay in Bacolod City for the event is also a real challenge. That was years ago when the only options you have are the fancy or standard hotels along Lacson Street. Availing a room at The Hostelry and Residences is now the best choice since most of your time will be spent watching colorful parades and joining some street parties. On this year’s festival, it was fortunate to know the existence of The Hostelry as cheapest type of accommodation is bunk bed at Php350 (Php525 on Masskara Festival season). 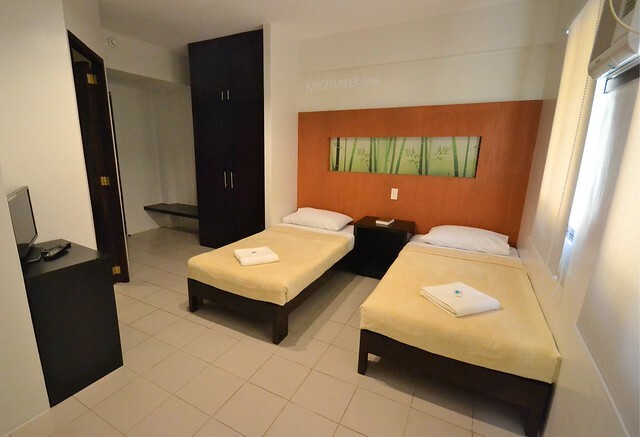 Other room types include matrimonial, twin, and single shared rooms. The hostel is located at Roli’s Arcade along La Salle Avenue and if you’re coming from the new Ceres Bus Terminal, take a jeep with Shopping La Salle signage. 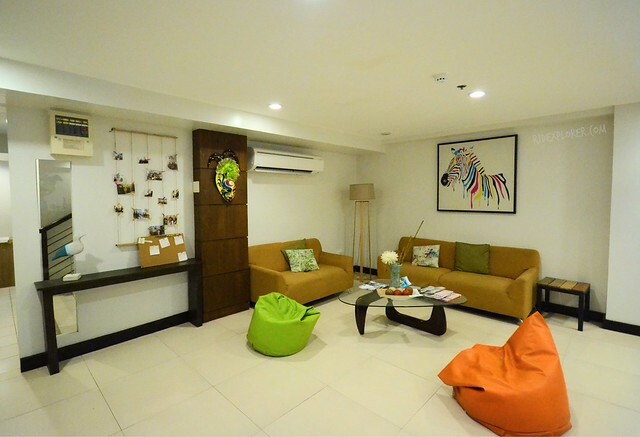 Despite the rain, hostel’s staff provided a warm welcome together with the cozy designed lobby. The traveler in me easily spotted the world map etched on one of the walls bordering the front-desk. I instantly asked the staff if could take a photo of the wall art. The nearby lounge has couches and beanbags for guests. I got a bunk bed on one of the dorm rooms on the second floor. 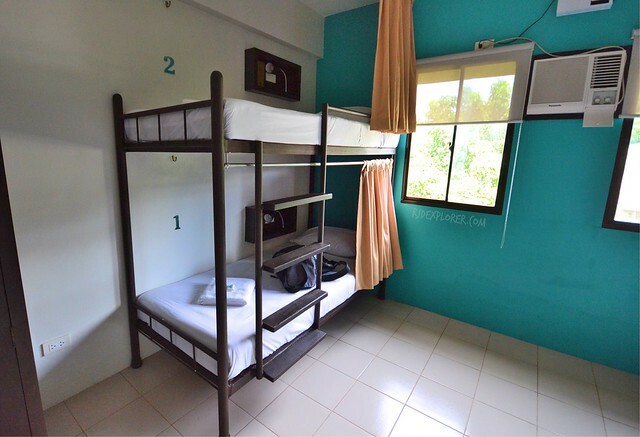 The Hostelry’s fully-airconditioned dorm rooms are simple yet clean and still spacious for four persons. Each bed has one pillow, clean sheets, own wall outlet, and reading light. Fresh towels and a free soap are complimentary and being replenished daily. For guest’s privacy, all beds in the room have own curtains. 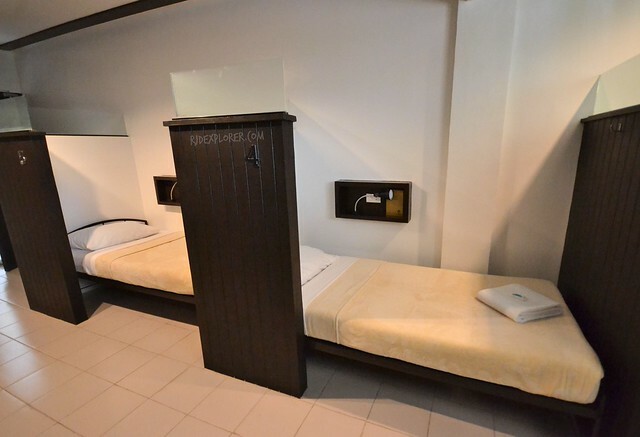 Every room has its own en-suite bathroom and toilet but there are also common shower and toilets available. For the lockers, the management doesn’t provide locks so it’s better to bring one on your stay. More common rooms are available on the second floor. One is the lounge with wall arts dominated by flamingos, a shelf filled with interesting books, and another set of beanbags. The other one is the entertainment room equipped with a cable-enabled television. Room rates don’t include breakfast as the hostel has no in-house restaurant. For breakfast, Roli’s Café on the ground floor of the building serves meals from noodles, sandwiches, breakfast meals, and pastries like the famous Napoleones. 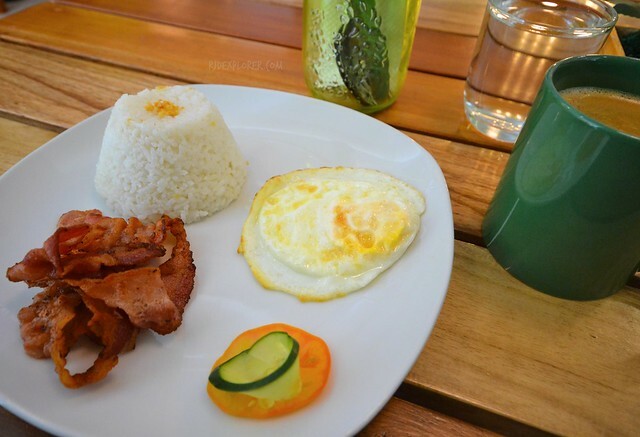 During my stay, I was able to try the bacon breakfast meal with three regular strips of bacon, a well-done sunny-side-up egg, and rice for Php99 and a cup of cappuccino for Php75. With the discovery and promotion of recent attractions in Negros Occidental such as Lakawon Island, higher tourist arrival rate is expected in the province. 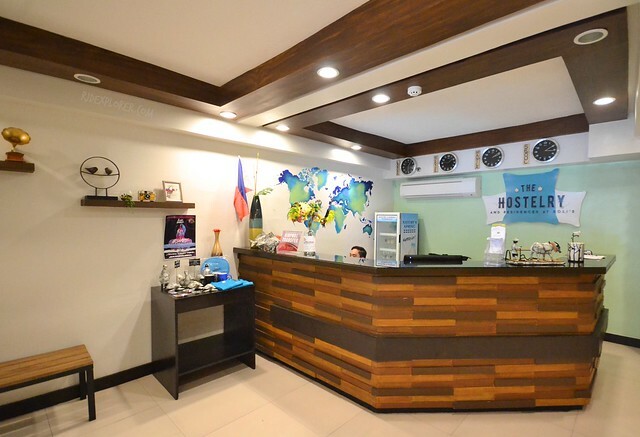 For budget travelers who are very particular about their expenses, a stay in The Hostelry Bacolod can really save you a lot. The hostel is also few minutes from landmarks in the city like the Bacolod Plaza and San Sebastian Cathedral. 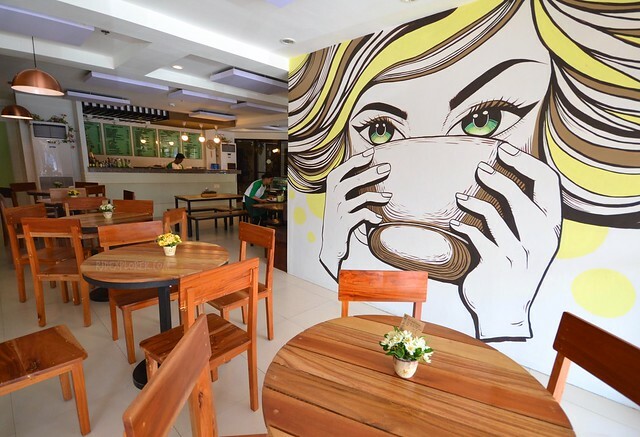 So on your next visit, don’t forget to include The Hostelry on your Bacolod City itinerary. Book your stay in Bacolod City by clicking on the banner below. Disclosure: Thanks to The Hostelry for accommodating me on my stay in Bacolod City for the Masskara Festival. All opinions stated on this post are my own.